Toby Cadman joins JiC once again for this critical take on the trials and tribunals of the International Criminal Tribunal of Bangladesh. Toby is a barrister from 9 Bedford Row. He is defence counsel at the Bangladesh Tribunal and has been counsel in the Uhuru Kenyatta case at the ICC. The 1971 War of Liberation in what is now Bangladesh must be remembered as one of the worst conflicts in modern history. But that there has been no effective accountability mechanism on the international level will forever be a stain on the reputation of the international community. 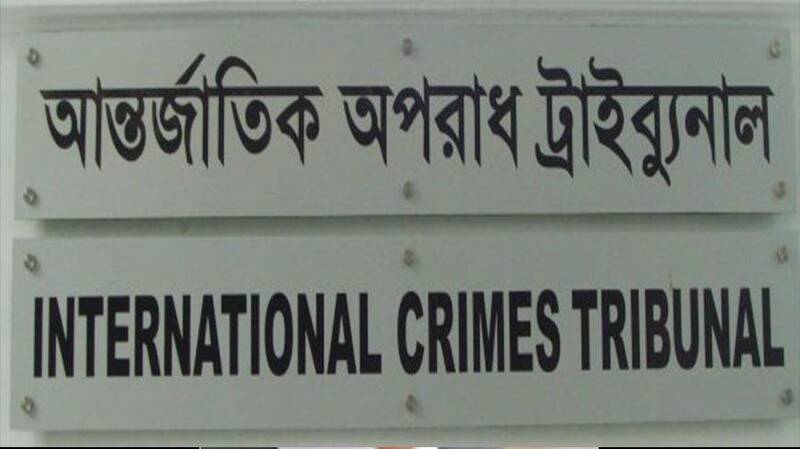 In 2008, the Awami League Party under the leadership of Sheikh Hasina Wajed, sought to change all that by establishing a national war crimes tribunal with a mandate to end 40 years of impunity. The United Nations sought to assist the national efforts with offers of international experts. Regrettably, all efforts to assist were thwarted. Allegations emerged that Pakistan campaigned against international involvement. Considering that Pakistan has the most to lose from a credible judicial process, the allegation would appear to have some credibility. The Government of Bangladesh has also been blamed for the lack of international engagement, preferring for a national institution that it can control rather than ceding to a process under international supervision. 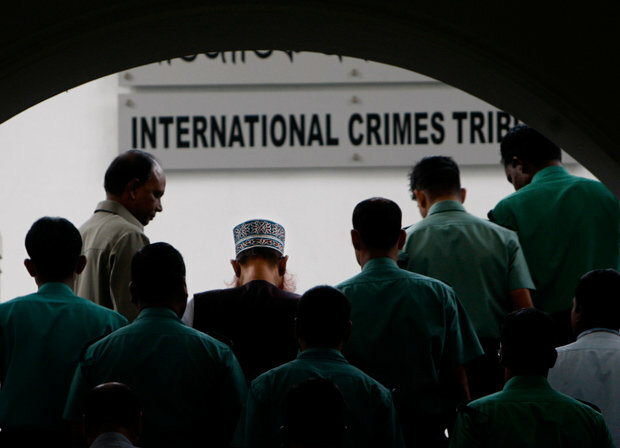 The Bangladesh International Crimes Tribunal was established in 2010 and whilst it was lauded by the international community as a valiant effort at accountability, it has been widely criticized since then for failing to adhere to any real standards of due process. It is important to note that the criticisms, of which there are many, are not merely procedural irregularities; there are serious allegations of failing to meet even basic human rights standards. There are credible allegations of prosecutorial and judicial misconduct, political interference, subordinating perjury and witness abduction. These are not insignificant concerns. The last two weeks have seen the Bangladesh Courts issue three verdicts and three death sentences, one final sentence on appeal for which there is no further remedy and two sentences of death for which there is a right of appeal. As noted earlier, it is beyond doubt that atrocities were committed on a staggering scale and it is right that steps have been taken to address these crimes so as to enable the victims and the country more widely to seek justice and to move forward towards peace, stability and lasting reconciliation. But whilst the maxim states that justice delayed is justice denied, justice removed is absolute. The passage of time is no barrier to justice and accountability as long as it is done with justice in mind and not merely the settling of ancient political scores. Any process should not be taken at the cost of an accused’s fundamental rights, or at the cost of present day social cohesion. Regrettably, this is precisely what is happening. The very rights and obligations that underpin any democracy and in particular, a democracy that Bangladesh fought so hard for, have effectively been ignored and dispensed with. It is also deeply regrettable that any challenge to the current ‘judicial’ process, if it may be termed as such, is construed as going against the very ideals upon which Bangladesh independence was founded. I have served as a member of the defence team since early 2011. I travelled to Bangladesh on a number of occasions during 2010-2011 and have spoken to many of those involved in this process of accountability. I have observed the very difficult conditions under which its various actors are forced to operate and the very unrealistic expectations placed on the judges, prosecutors and defence counsel to deliver a pre-determined conclusion to these proceedings. I am no longer permitted to enter Bangladesh because I have actively campaigned for international intervention. I have strived, in my own words, for my clients to receive a fair trial. I believe that this is only possible under international supervision. I recognise that I only speak for one side – the defence. However, I am most certainly not alone in voicing this opinion. Independent commentators such as Human Rights Watch, Amnesty International, International Center for Transitional Justice, Center for Justice and Accountability, International Commission of Jurists, to name just a few, have openly criticised the process. Following the events of the last few days, a number of commentators in Bangladesh have put forward what is suggested to be reasoned arguments as to why the recent verdicts, and presumably the rest of the trials, are not revenge or retribution, nor are they about politics.. They are, these commentators argue, about holding political leaders accountable for serious allegations of war crimes, crimes against humanity and genocide. It is clear that war crimes, in the generic sense, are political in nature. It is also clear that not a single international judicial mechanism over the few decades is without criticism. and that justice on the international level is not a replacement but a complement to the national level. However, we must consider whether the national authority is willing and able to deliver impartial and independent justice at the national level. In the case of Bangladesh it is painfully obvious that it is neither prepared nor able to deliver justice impartially and independently. Proponents of the national process in Bangladesh avoid the significant issues that have been raised concerning the legitimacy of the trials and merely label any criticism as an international conspiracy. It has been commonplace for those raising valid concerns to be charged with contempt. Both HRW and The Economist have been on the receiving end of such a practice. In this regard it is important to note that it has never been suggested at any time that seeking justice and accountability is wrong, nor has it been suggested at any time that where there is evidence to substantiate a charge, that charge should not be brought. The issue is the manner in which the Bangladesh Tribunal has dealt with these trials and the manner in which the Awami League Government has used it as a political tool to undermine a legitimate political opposition and cement its own grasp on power. It has recently been suggested that one must look through the ‘overall prism of moral justice’. It has also been suggested that the concerns amount to little more than ‘procedural flaws’. Again, it is quite simply not the case that there have simply been procedural flaws, the reality of the situation is that the Tribunal has ignored numerous established domestic and international legal principle that has been put in place to safeguard the rights of the accused and ensure that a fair trial is possible. The fact that a prosecution witness has accepted that he gave false testimony is not a procedural flaw; it is a direct and flagrant attempt to circumvent justice. The refusal of the court to allow a prosecution witness to answer questions about previous inconsistent statements is not a procedural flaw; it is judicial interference thus preventing the accused from putting his case. The abduction of a witness by state security forces so as to ensure that that the witness cannot give evidence for the defence is not a procedural flaw; it is simply manipulation of the process at the most extreme of levels. A number of international legal experts asked to comment on the Tribunal have also raised significant concerns about the lack of due process and the lack of respect for the principle of a fair trial. Mine is not a differing of opinion; it is outright condemnation of a hopelessly flawed process. It is naive to suggest that the Bangladesh model can be held up as a talisman of moral justice. If the Tribunal was really about justice and accountability, there would not have been such resistance to the offers of assistance from established international practitioners. There would not have been such resistance to those countries and institutions who offered their assistance, and there would not have been the attempts to silence those that criticise the conduct of the trials. The morality of justice is that those who committed crimes in 1971 must be brought to justice through an effective judicial mechanism that stands up to scrutiny. Despite the attempts of the Government of Bangladesh to laud its efforts as an example to the world on how to deliver justice domestically, it has instead made the case that justice may still be better served at the international level. This entry was posted in Bangladesh, International Criminal Justice and tagged International Criminal Tribunal of Bangladesh, Toby Cadman. Bookmark the permalink. Reblogged this on Forum for the Bangladesh Research Network. I am from Bangladesh. Whatever you say, I don’t think that the condition of our country is very suitable for any type of things. Our main political parties always tries to hold the crown by only their own. The mass people is always out of their concern.